The question of the past few weeks is what to get for Valentines Day? There are so many ways to go about it. Do you want to be serious and sappy? Do you want to be silly and take a lighter approach? There is plenty of time for all of it. While you are all deciding, I'm going to keep showing off all of the stuff I can. Today, It's GIANTmicrobes! I love these guys. They are germs, microbes, and organs in magnified plush form, a million times their size! I mean really, what is better than someone actually giving you a heart of gold, their heart, or all of the heartwarming diseases in one little box? That's right, you can give your spouse the clap thanks to GIANTmicrobes and they'll be happy about it. and not even need a prescription to take care of it. It's not just a gift for couples either. 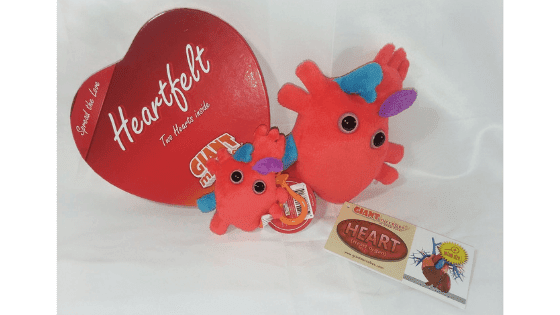 GIANTmicrobes makes a great gift for teachers, doctors, nurses, or anyone in the medical field. You might even have had a childhood friend that you had chicken pox with or an ex you had mono with, there are so many reasons that sharing a germ with a memory would be great! You could even give them to your germaphobe co-worker and they will all love it. There are even all new ones that celebrate agony! You can get awesome things like a headache, backache, and kidney stones. These are the perfect gag gifts! There are 100's of them. You can find a GIANTmicrobe for any situation! These plush little germs and organisms have cute faces that make even the scariest germs seem nicer. 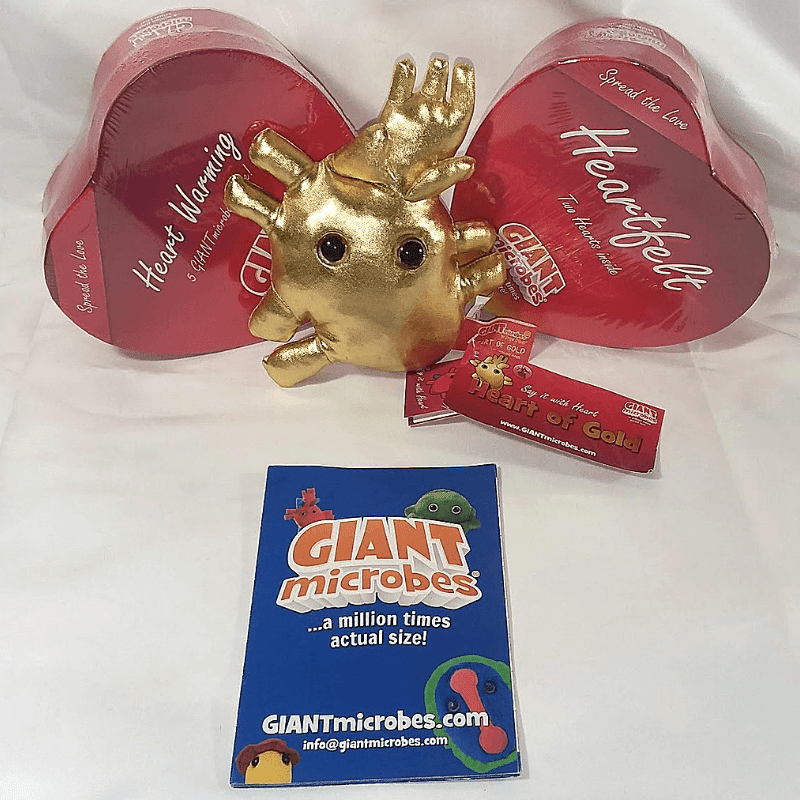 The Heartfelt Box has 2 GIANTmicrobes in it. It's a red heart-shaped box that looks like a box of chocolates. Inside is a Heart organ that makes a heartbeat sound and a mini heart key chain. The Heart of Gold is a Heart organ made of gold. I love these adorable plush microbes. 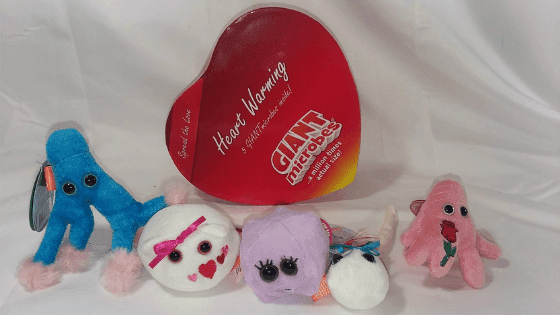 If you are looking for a fun and light-hearted way to share this Valentine's Day, GIANTmicrobes is a great choice. 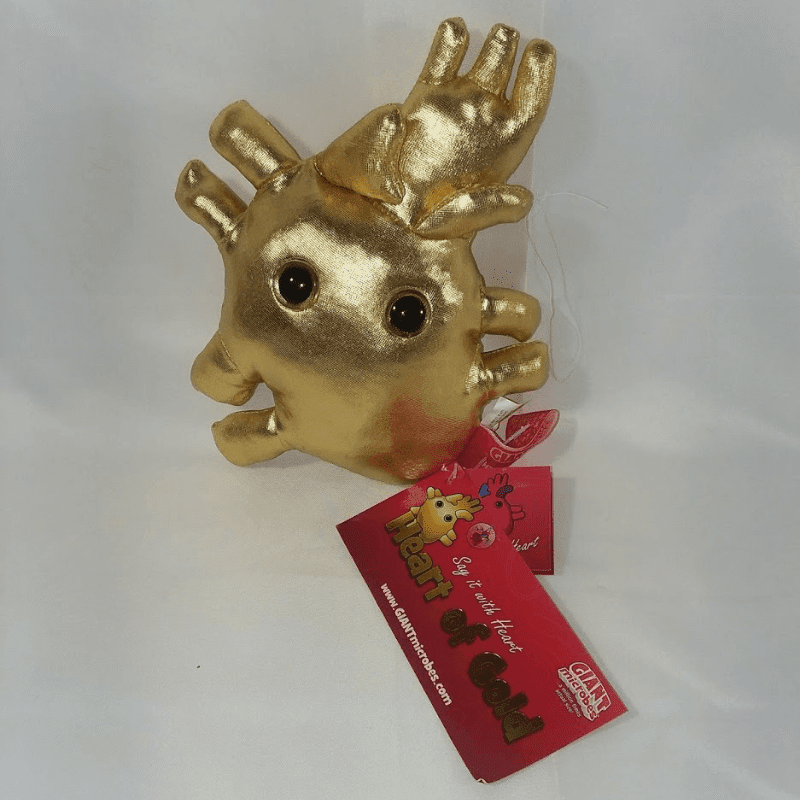 If you are looking for a silly gag gift, GIANTmicrobes is definitely it! For any occasion, celebrate with these plush GIANTmicrobes. Check out GIANTmicrobes on their website- giantmicrobes.com/us/ or search #GIANTmicrobes on social media.